The ‘Which Oil When?’ debate can be dated back to the 1960s showdown between butter and margarine. In response to growing concerns about the perceived dangers of animal fats and saturated fats in our diets, the food industry promoted a new range of ‘heart-healthy’ unsaturated fats, coined vegetable oils. These industrial seed oils offered what was believed to be a safer alternative to traditional animal based cooking oils such as butter, tallow and lard, and with that, thousands of people swapped their cooking staples with these new and exciting alternatives. But what actually were these exciting new ‘heart healthy’ oils that we were told would protect us from high cholesterol? Industrial seed oils refer to those that have been extracted from various seeds including rapeseed (canola oil), soybean, corn, sunflower, safflower, peanut and many more. These extraction methods require chemicals and extreme heat and the oils undergo further processing through bleaching and deodorising, rendering the oils ‘good for cooking’ but ultimately poor for health. Contrary to food industry propaganda and popular belief, it was later proven that these ‘vegetable oils’ or, industrial seed oils, were in fact extremely unnatural, and far more harmful to the human body than the saturated fats we once feared. So “Good on you Nanna!” for staying true to your freshly churned butter, no matter how many times we tried to convert you to the dairy free versions, heart tick and all. All of this marketing, jargon and scientific research is overwhelming right? No wonder we’re confused. And so it’s okay, you are forgiven for your years of lathering your toast with marg and thinking you were doing the right thing. Because as we must remind ourselves - “If we knew better, we would do better”. So with the revelation that industrial seed oils are unhealthy, the question raised is…What the f@$! do I cook with now? And we’re here to spell it out for you in what is hopefully a clear and easy to follow format. Let me preface this discussion of cooking oils by saying that you don’t have to cook with oil. In fact, we prefer to cook with water and then drizzle a good quality oil over our food. This is because most, if not all of the nutrients in a healthy oil are destroyed when it is cooked, regardless of the smoke point. What are ‘good quality oils’ that I can drizzle over my meals for great nutrition and even better taste? How do I know how much oil to use? No matter how ‘healthy’ a saturated fat may be it is important to respect its smoke point as any steam or smoking of oils is an indication of its shift from being healthful to unhealthful. A smoke point is basically the temperature below which an oil can be used safely without steaming or smoking. Approximately around 50% of the population will have a beneficial response to the consumption of saturated fat. This is because we all have different ancestry and genealogy and, as we know, not everything works for everybody. If you are interested to see whether you respond positively or negatively to saturated fat, consult with your healthcare practitioner about conducting a blood test looking at the appropriate markers. This by no means indicates that you will be better off using industrial seed oils and vegetable oils in your cooking. In fact, some saturated fats and monounsaturated fats will remain healthier alternatives. This may simply mean that you could limit your consumption of saturated fats by cooking with water. Cooking at a lower temperature for a longer period of time is preferred as it is a gentler way of cooking that allows any beneficial enzymes in the food to be released before being denatured by overheating. So, what saturated fats can I cook with? 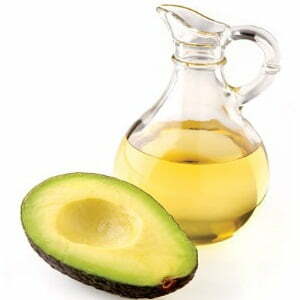 Here we list a number of plant and animal based saturated fats that can be used in the kitchen. 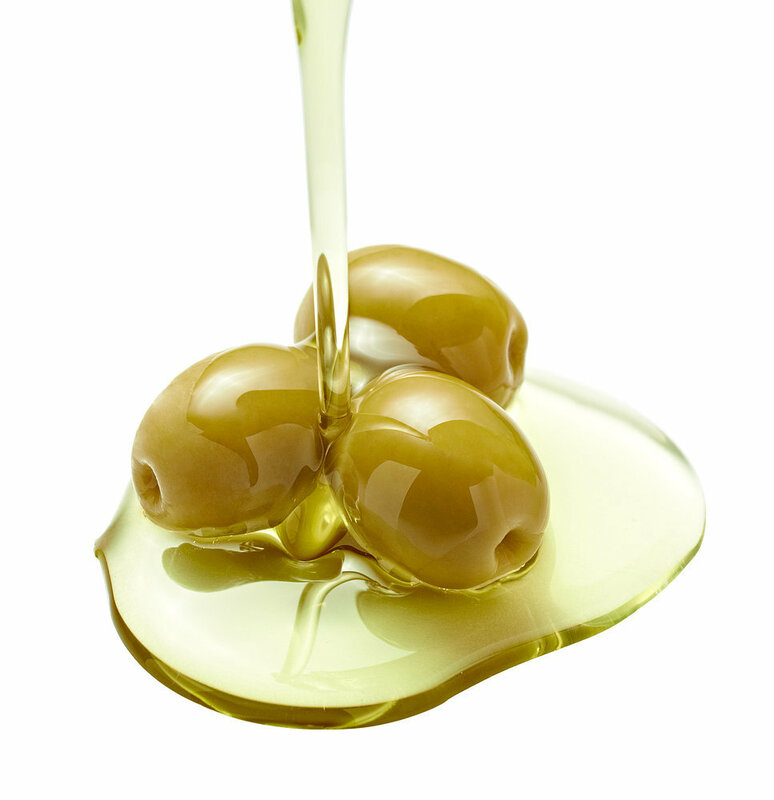 (Polyunsaturated fat) A favourite of ours, Olive Oil has a smoke point of 190 degrees Celsius and can be used in both cooking and baking. (Monounsaturated and Polyunsaturated) - According to the following table, Avocado oil has one of the highest smoke points at 280° Celsius. It is also suitable for both cooking and baking. 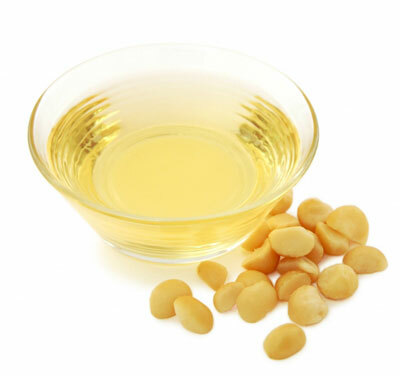 Another favourite of ours for its high smoke point of 200° C and its delicious nutty flavour, Macadamia Nut Oil is suitable for frying, cooking, baking and of course, drizzling! While Coconut Oil became the hero of the new era of saturated fats, with everyone flipping their vegetable omelettes in the fruity, rich syrup, I rocked the boat at the 2014 Wellness Summit claiming the oil may not be as beneficial as we initially thought. 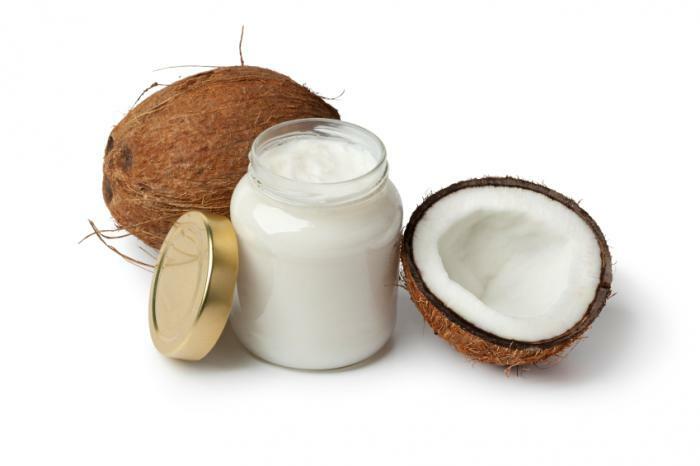 Through clever marketing, the producers of Coconut Oil continued to promote their product as the healthiest oil available, without telling us that it didn’t have the high smoke point nor medium chain triglycerides everyone assumed it did. So while we were all frying and smoking our coconut oil away, we were, once again, mislead by the food industry. The fact of the matter is, coconut oil, while being a great quality saturated fat to consume, has a reasonably low smoke point of 170° C. This means that it is best used in baking or cooking at low temperatures, or as Damian suggests, slowly sautéing kale for Jo Whitton’s kale eggs. And if you’re a thermy like Jo herself, it is important to note that Coconut Oil use in the Thermomix is safe because the appliance never exceeds 120° C.
For many of us with European ancestry, our microbiomes have adapted over time to tolerate and in some cases, thrive on the saturated fats that come from animal sources. This has come as a result of the agricultural revolution and the evolution of worldwide farming practices. As a result of the highly processed dairy products available on supermarket shelves, many people have moved away from animal based saturated fats such as butter, ghee, tallow and lard. This is unfortunate as for many of us with European heritage whose ancestors thrived on the natural, full-fat dairy straight from the cow. It is for this reason that we recommend, if you can tolerate it, sourcing grass-fed, organic where possible, butter, ghee, tallow and lard for your cooking. Animal based saturated fats such as butter and ghee are ideal for frying, cooking and as many of you who follow Jo would know, baking. Not only do these fats bring rich and creamy flavour to your meals, they can also be especially satiating when used appropriately. An old favourite and kitchen staple, butter can be used in a multitude of ways and has a smoke point of 200°C. Ghee, on the other hand, is a non-dairy alternative, a clarified butter that does not contain milk solids, and can reach a temperature of 250°C. Typically not used so much in baking and more so in traditional home-style cooking are rendered animal fats; tallow and lard. While some people may be put off by the origins of Lard, a rendered and clarified fat sourced from the abdomen of a pig, it contains 20% less saturated fat than butter making it a safer alternative for those who may be reactive to the compound. Lard has a smoke point of 182°C. Tallow is of a similar nature, being the rendered fat from meat other than pork, often beef. With a smoke point of 215°C it is a great alternative that will give your veggies an undisputed delicious crunch. While it is not technically an oil, bone broth retains much of the good fats otherwise wasted in animal cartilage and meat. The simmering, sautéing or roasting of food in bone broth is an effective way of adding flavour and increasing the nutrient density of your meal. Like all oils, we recommend that it is used in ‘low and slow’ cooking methods so as to retain its nutrient density. If you are still left wondering which of these cooking oils would be the best for you, we suggest you approach your genealogy with some common sense, acknowledging that your Irish heritage may indicate that you’re better off opting for the traditional, farm based sources such as butter, lard and tallow as opposed to coconut oil found in tropical climates. If you would like to take a closer look at your genealogy and physiological reaction to saturated fats we have suggested, we recommend consulting your healthcare practitioner about blood testing. Warning: The below table comparing cooking oils and the smoking points does not necessarily suggest that those with higher smoke points are ‘healthier’. It should be obvious for example that highly processed Safflower Oils and Rice Bran Oils, whilst allowing higher temperature cooking, are far less healthful than Extra Virgin Olive Oil. This table is merely one example showing the smoke points of different saturated and unsaturated fats. We hope to provide you with a more relevant table of healthy cooking oils in the coming weeks. So please, watch this space and watch your cooking temperatures. Tallow, as mentioned above, is the fat from beef that has been rendered and cleaned to create a perfect animal fat with a high smoke point for frying, grilling and baking. Brellow is the fat skimmed, rendered and cleaned from beef bone broth. This has the same properties as Tallow but with the added flavour and nutrients of beef bone throughout.